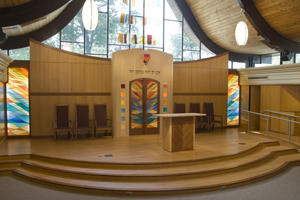 The slumped glass Ner Tamid for Congregtion Adat Shalom, Farmington Hills, MI. 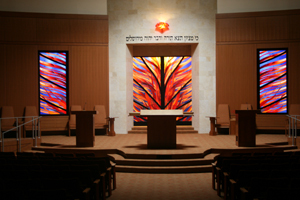 Other slumped glass eternal lights may be seen at Temple Emanu El, in San Diego, Ca, Congregation Shomrei Torah, Santa Rosa, CA, Congregation Beth Emek, Pleasanton, Ca, Temple Emek Shalom, Ashland, Ore., Congregation Beth Am, Los Altos Hills, Ca, Temple Valley Beth Shalom, Encino, Ca, among others. 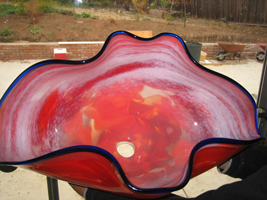 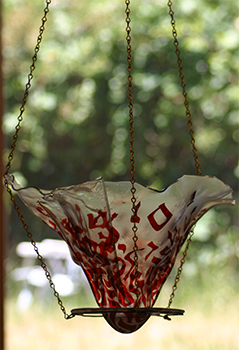 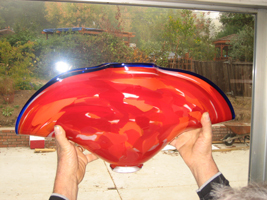 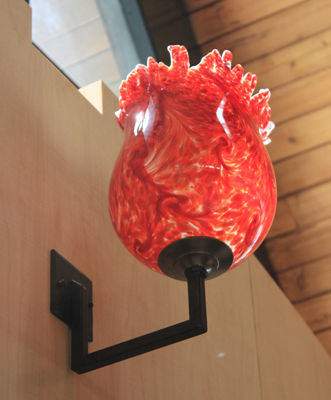 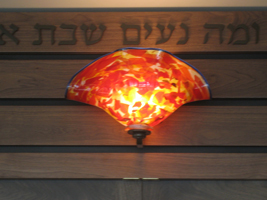 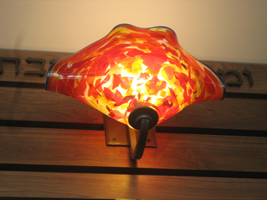 Other blown glass eternal lights may be seen at The American Jewish University in Los Angeles, CA, The Abraham Heschel School, in Northridge, Ca, at Stanford University Hillel, in Palo Alto, CA, among other places. 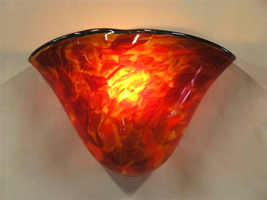 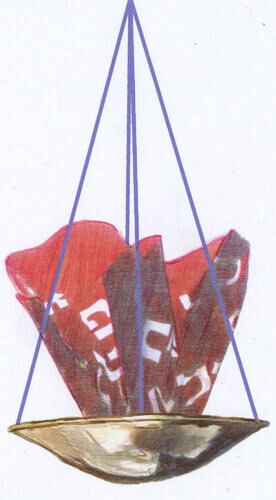 Above, a group of sample shapes of blown glass eternal lights, shown in a small size, for convenience.